Coverage: Marco has worked for leading multinational companies in Italy, EU, Russia and Eastern Countries, in different industries (automotive, industrial equipment, consumer packaged goods). Marco graduated in Business Administration (Turin-Italy and Dublin-Ireland), and after his first work experience in Spain, he joined Accenture’s strategy team. In his 10+ years there, he specialised in Sales & Marketing effectiveness, including people development on selling methods and tools, organization design and development, sales & marketing integration. In 2007, as senior manager, Marco left Accenture and joined Johnson & Johnson, where he was manager of Sales Effectiveness in the Medical division. His responsibilities spanned from sales network design, sales processes and tools effectiveness, people development and sales incentives. 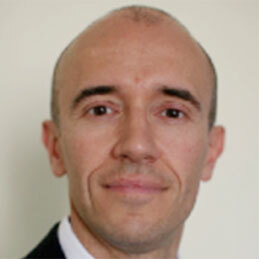 In 2010 he started his own company in Italy, and brings 15 years of business consulting and people development expertise. Clients: Mars, NestlÃ©, Barilla, Fiat Auto, BMW, Philip Morris, Cadbury.